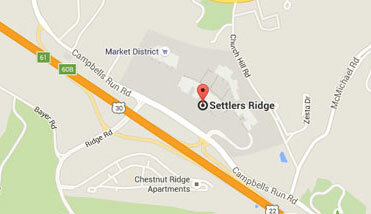 Settlers Ridge | Shopping in Pittsburgh Pennsylvania | It’s all right here. Settlers Ridge offers the most convenient shopping experience with over 40 shops and dining options right here in Robinson Township. Shopping local at Settlers Ridge means you get all your shopping done in one spot with easy access & ample parking! We have everything you are looking for from popular stores such as Ulta and Barnes & Noble to service-based boutiques such as European Wax and Sport Clips. Take in the sights and enjoy family-friendly events right here at the center. Settlers Ridge boasts a wide array of retailers large and small, great dining options and exciting entertainment at a 16-screen cinema for the entire family all in one convenience location. Shop, Dine and Enjoy! Verizon invites you to visit their Settlers Ridge location to explore the many products available. They not only provide great promotions on cellular devices and service, but they also offer many more products to enhance your daily life. When it comes to technology, Verizon has so much for your to explore!